Newspaper Rock: First Sterling, then Snyder? It's very difficult to look at universal condemnation of Donald Sterling's racism and not think about the pass given to Dan Snyder. Why not "Sterling didn't mean any harm, he's helping black people, there are more important things to worry about"? Because #racism is EVIL. Unless it's the Redskins and Chief Wahoo? Time to start applying our disapproval of racism to every sports team in America. 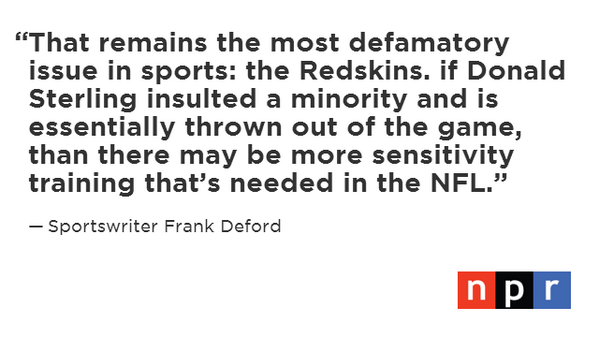 Will Sterling lifetime ban push Redskins issue to critical mass? By Mike FlorioTo no surprise, Oneida Indian Nation opted to use the penalties imposed on Sterling as a reason to draw more attention to the lingering controversy involving the Redskins name. 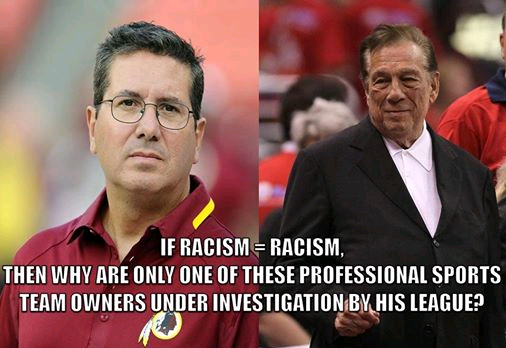 While it’s unlikely that the Sterling situation will nudge the Redskins name controversy toward a critical mass, the unwillingness of the NBA to tolerate an owner expressing racist views behind closed doors highlights the question of whether and to what extent the NFL is willing to tolerate a situation where reasonable minds may differ on the existence of overt racism. 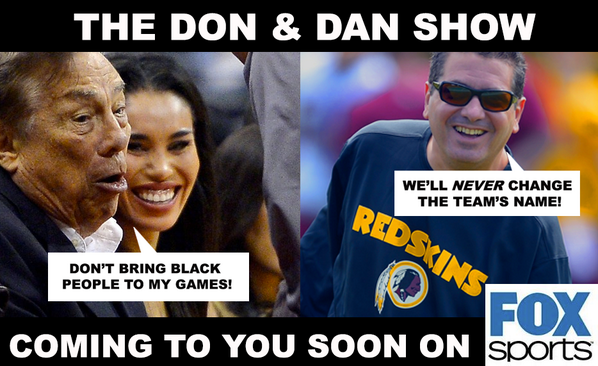 For more on the subject, see What Bundy and Sterling Tell Us and NBA Bans Sterling for Life. Why no NFL crackdown on racism? Christina Fallin calls Natives "sheep"
Pointing with Lips is "powerful"
Snyder: Redskins "not an issue"
Throat singer threatened over "sealfie"